Official Tao Te Ching Website. With that said we will attempt to create a site that inspires, amuses, educates and passes on the wisdom of the Tao Te Ching as captured by Lao Tzu. Sign Up here to be notified when the site officially launches and to receive daily quotes of inspiration and wisdom in the tradition of the Tao Te Ching. The Tao Te Ching is known around the world as the Dao De Jing, The Tao, the Dao or simply The Way. The original text believed to be over 4500 years old was authored by Lao Tzu. The oldest text of the Tao Te Ching so far recovered was written on bamboo slips and dates to the late 4th century BCE. The texts contain 81 chapters or lessons, many of which are axioms. 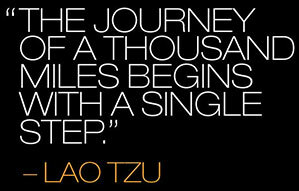 Lao Tzu also known as Laozi, is like the texts he authored, equal parts enigma and supreme mystery. His name literally translates as "Old Master."